Gas Tracking System provides the most complete set of tools required to manage your Natural Gas Retail Access and Customer Choice programs for both residential and commercial customers. Gas Tracking System offers multiple types of natural gas nominations and nomination confirmation features, load profiling/delivery requirements, hourly and daily consumption, rates, imbalance trading, settlement and reconciliation calculations - plus a host of other functionality required for program operations. Through customization, information from both internal and external systems is integrated into a seamless data flow where it is then coordinated and managed through the Gas Tracking System. Automated system emails and text messaging features update users about activities in the Gas Tracking System such as an IntraDay nominations or Customer consumption exceeding peak volumes. Gas Tracking System is a comprehensive system for managing the hourly, daily and monthly operations of your Natural Gas Retail Access and Customer Choice programs. 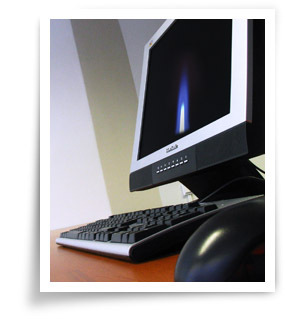 Gas Tracking System is an on-line, web-based Electronic Bulletin Board (EBB) system developed by Convergence Solutions specifically to assist Natural Gas Utilities with the administration of their Natural Gas Retail Access and Customer Choice programs. Gas Tracking System provides a 24/7 portal for your management, staff, business partners and customers to access the information needed hourly, daily and monthly to effectively manage and monitor your Retail Access and Customer Choice programs. Gas Tracking System is designed with an open development architecture that allows for complete customization, support and management - a necessity when dealing with the constantly evolving world of Retail Access and Customer Choice programs.